This thing is like a super magnet for fish. 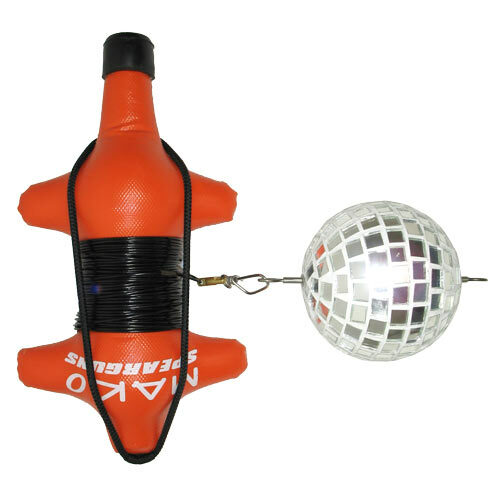 Made just like a disco ball, the MAKO Spearguns Flasher Ball has over 200 tiny individual mirror squares that reflect light in all different directions. 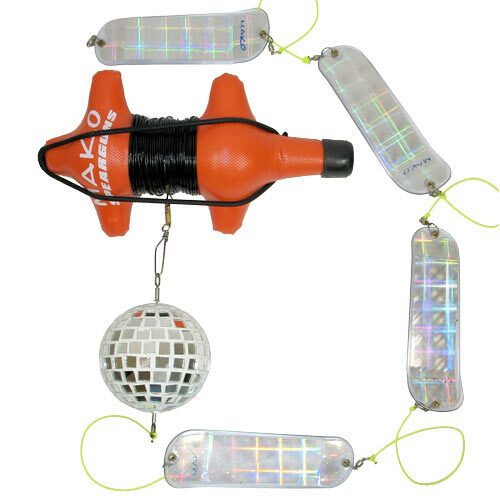 It is this, multi directional light reflection action, (commonly referred to as MDLRA) that drastically increases the percentage of catching the attention of fish from all different angles. Not only does the Flasher Ball send out hundreds of different light rays in different directions, the brightness of these light emitting “pings” are absolutely astounding, even on partly cloudy days. NOTE: O.K. guys, I was just kidding about the MDLRA thing. I just made that up. But, this thing really does send out hundreds of light rays in so many different directions, it will turn a slow day into a rock concert. 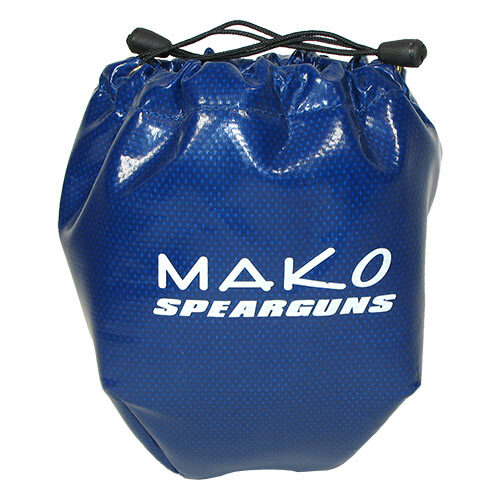 Mako's customer service is excellent! As a freediving instructor and spearfishing guide I couldn't recommend their products and gear more highly!